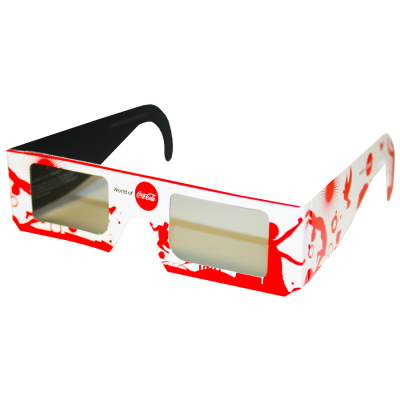 Polarized Coca Cola - American Paper Optics manufactures linear polarized 3D glasses for a 4D film at the World of Coca Cola in Atlanta, GA.
Polarized Coca Cola (Child Version) - American Paper Optics manufactures linear polarized 3D glasses for a 4D film at the World of Coca Cola in Atlanta, GA. This special children's frame size allows everyone, young and old, to enjoy the event. 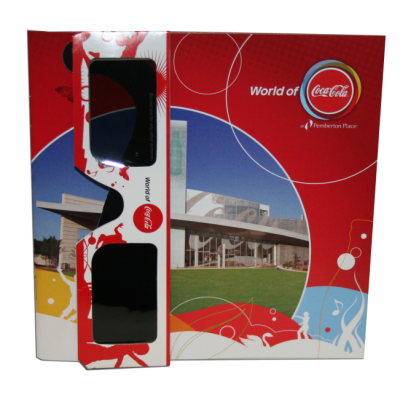 Polarized Coca Cola - American Paper Optics manufactures linear polarized 3D glasses for a 4D film at the World of Coca Cola in Atlanta, GA. 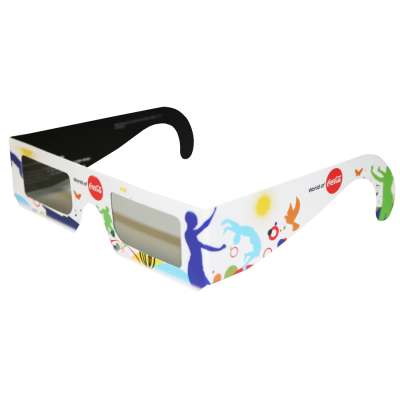 This special children's frame size allows everyone, young and old, to enjoy the event.